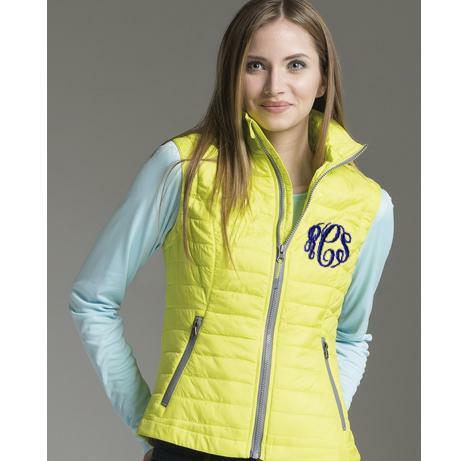 Ultra lightweight and packable and warm. 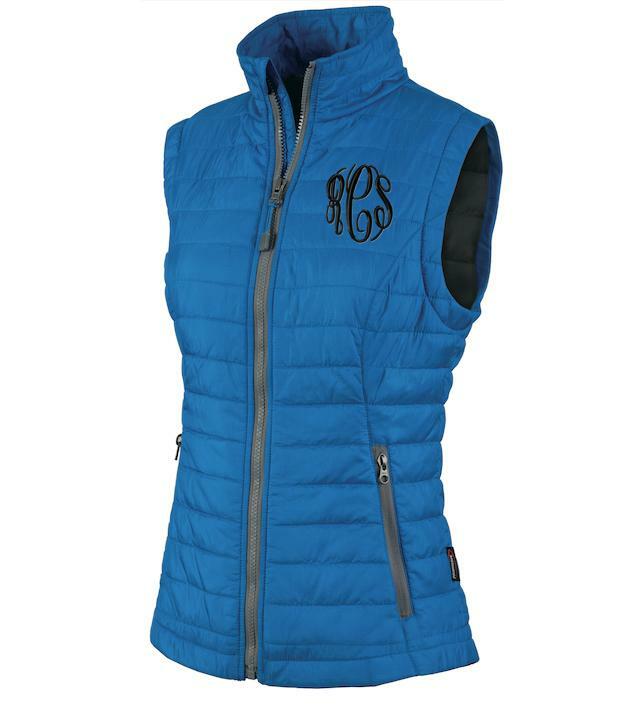 Our new quilted vest has a horizontal quilted pattern with contrasting colored zippers and lining. 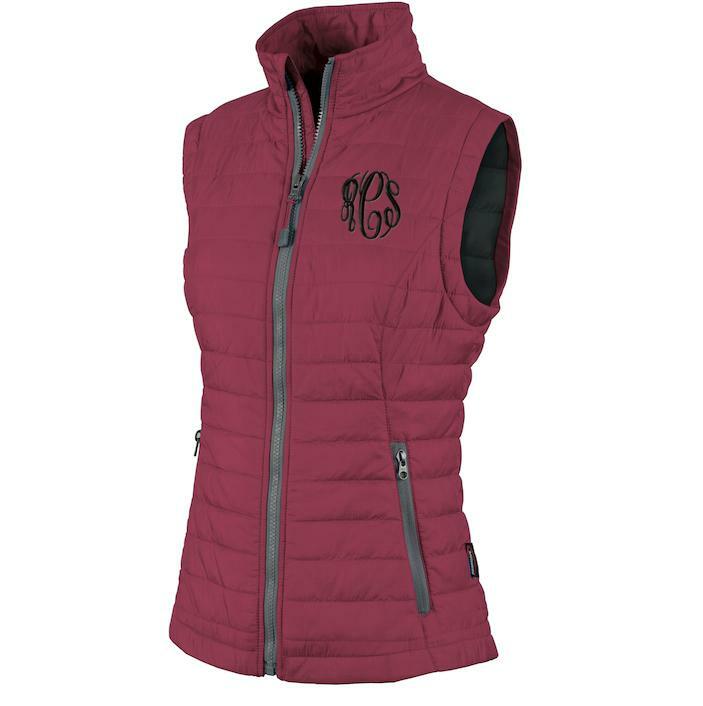 A Durable vest with a stand-up collar, zippered side pockets, and modern fit. 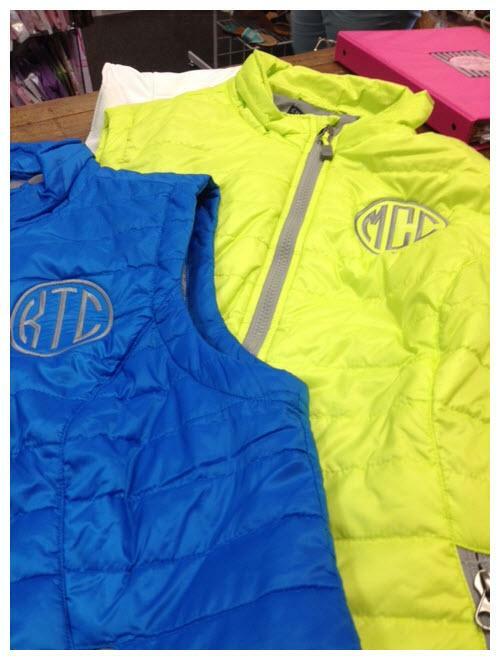 Great colors like royal blue, lime, gray, black, and magenta will surely please someone on your shopping list. 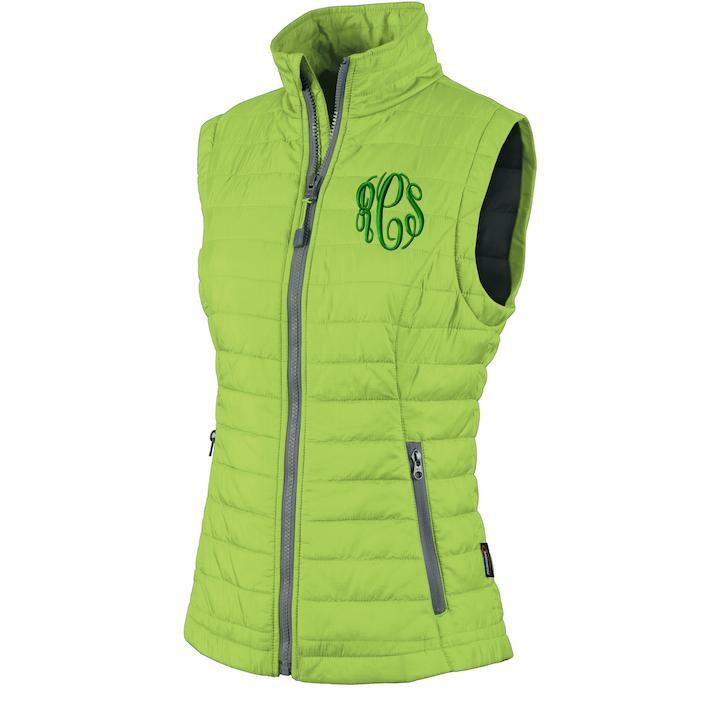 Monogram is on the left chest at around 3 inches in diameter. Sized from xsmall to 3xl. 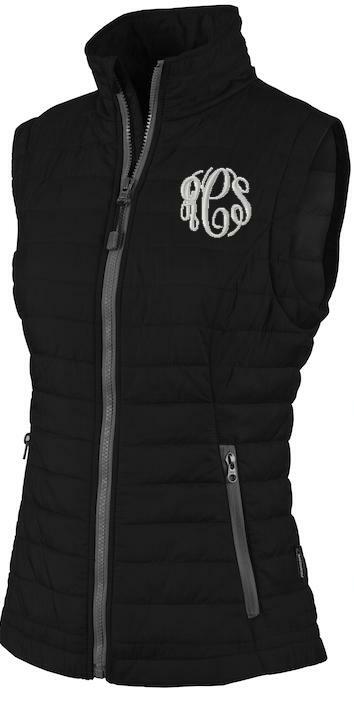 See our jackets that will let you zip the matching radius vest inside for extra warmth. Dobby Polyester shell made exclusively from recycled PET bottles. Lined with PrimaLoft® SPORT (60 gm²) for premium insulation performance. 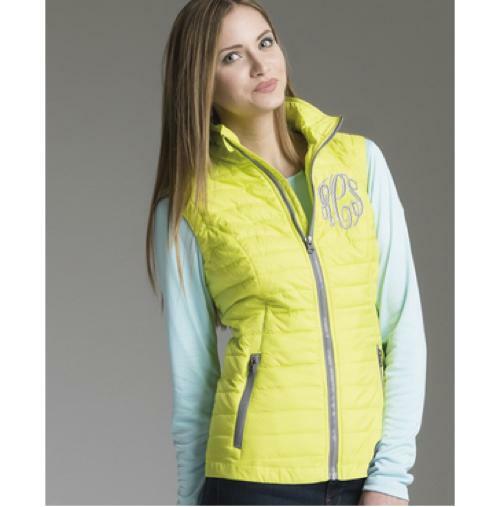 Ultra compressible fabric allows vest to pack into side pocket. 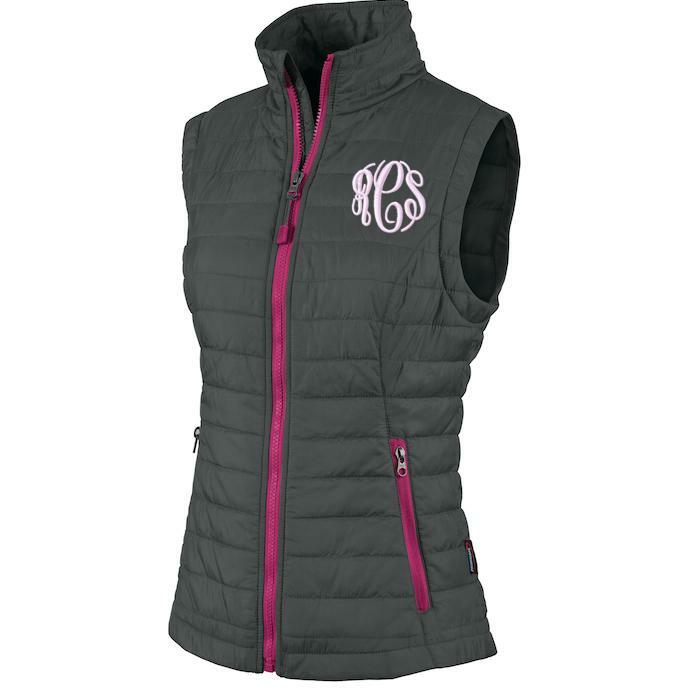 Features narrow, horizontal quilted pattern with contrast-colored zippers & lining. 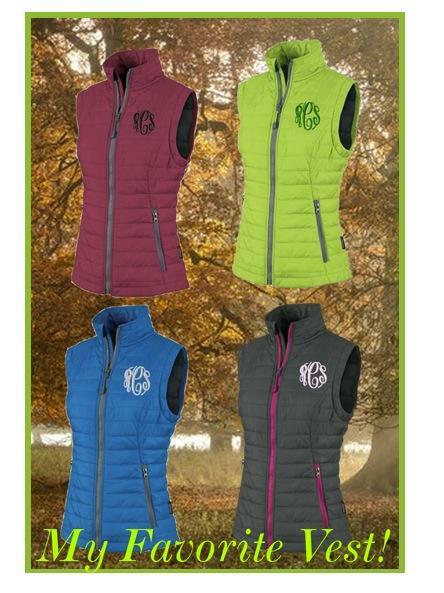 Full zip styling with wind flap.